Found 9 file extension associations related to RoboForm and 9 file formats developed specifically for use with RoboForm. Easy and Secure password manager. RoboForm memorizes each user name and password the first time you log into a site, then automatically supplies them when you return. All your passwords are encrypted on your computer with military-level encryption using your Master Password. Use our RoboForm Identities feature to securely store your name, address, email, credit cards, and all other personal information. Just click on your RoboForm Identity to fill entire web forms automatically. Save yourself hours of needless typing! Access your RoboForm Logins and Identities on all your computers and devices. 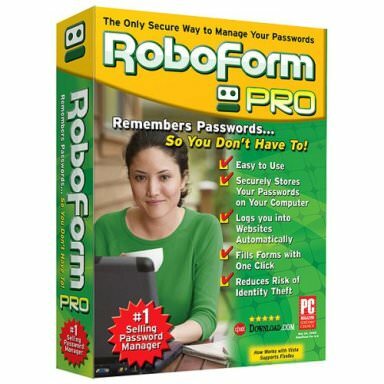 RoboForm runs on Windows, Mac, Linux, and Windows USB drives. Apps for most popular mobile phones including the iPhone, Android, and Blackberry. Use RoboForm Everywhere (Online) service to synchronize and back up your data with our servers, and enjoy secure one-click form access everywhere! If you need more information please contact the developers of RoboForm (Siber Systems, Inc.), or check out their product website.